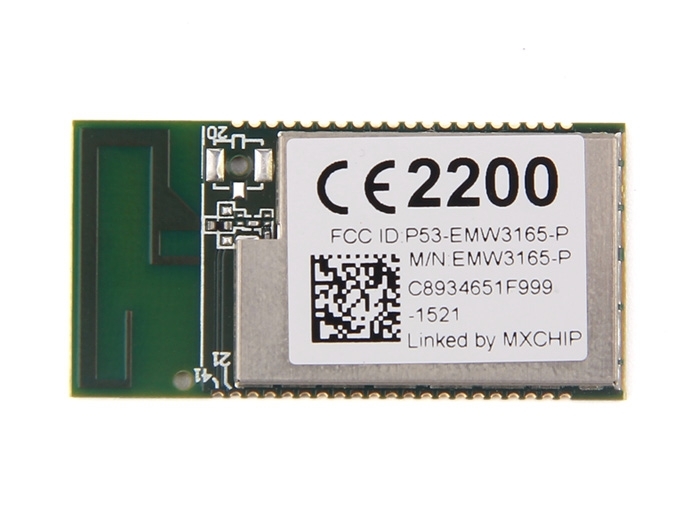 EMW3165 is a low-power embedded Wi-Fi module integrates a wireless LAN MAC/baseband /radio, and a Cortex-M4 microcontroller STM32F411CE that runs a unique "self-hosted" Wi-Fi networking library and software application stack. 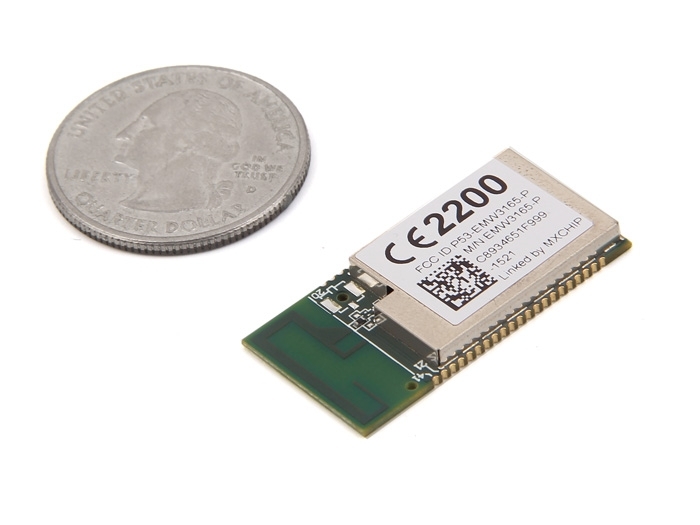 EMW3165 has 2M bytes of on-board flash besides 512K bytes of in-chip flash, 128K bytes RAM and rich peripherals for user embedded Wi-Fi applications. EMW3165 is also a MiCO platform, users can build their own embedded Wi-Fi applications based on MiCO library which manage all of the Wi-Fi MAC and TCP/IP stack processing. We also provide independent series of particular firmware to meet typical applications: Wireless UART, Cloud Service etc. 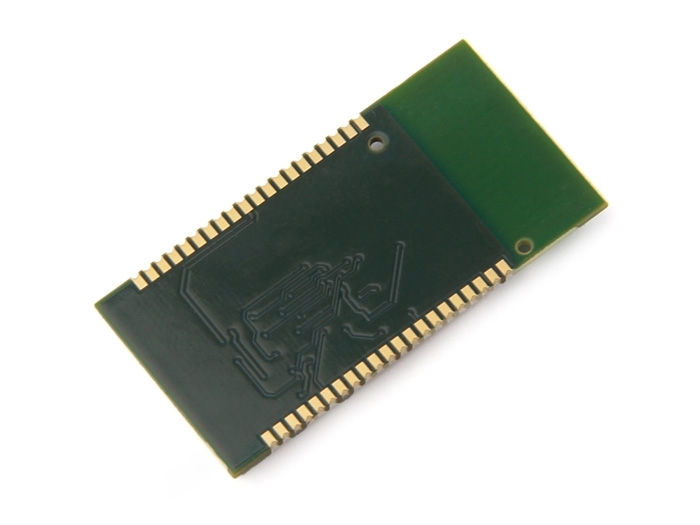 We also have the External IPEX antenna module: EMW3165-Cortex-M4 based WiFi SoC Module (External IPEX antenna) and the evaluation board: EMWE - 3165 - A Development Board on sale.